February 12, 2019: Letter to U.S. House Transportation and Infrastructure leadership from 40 aviation and travel industry organizations in support of the Aviation Funding Stability Act of 2019. January 10, 2019: Letter to the president and congressional leadership urging them to end of the U.S. federal government shutdown. September 4, 2018: Industry letter to U.S. Department of Commerce Secretary Wilbur Ross, Deputy Assistant to the President Michael Kratsios and National Space Council Executive Secretary Scott Pace about the Trump Administration’s space policy. August 15, 2018: Letter to U.S. Senate Majority Leader Mitch McConnell (R-KY) and U.S. Senate Minority Leader Chuck Schumer (D-NY), from over 30 aviation industry organizations, urging them to have the Senate move expeditiously to consider legislation for a long-term reauthorization of the Federal Aviation Administration. August 1, 2018: Letter from Senator Amy Klobuchar (D-MN) to students at St. Croix Lutheran High School, who placed second in the 2018 GAMA Aviation Design Challenge. June 11, 2018: GAMA and ADS Group letter to the European Commission, urging it to permit Brexit planning netween EASA and the UK CAA. 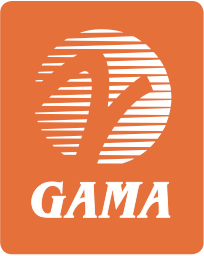 June 5, 2018: Letter to U.S. Senate Leadership from GAMA and AIA, pressing them to consider a bill authorizing programs of the Federal Aviation Administration (FAA) as soon as possible. September 15, 2017: Letter to Congress from 150 general aviation industry groups voicing opposition to the air traffic control privatization proposal in H.R. 2997. September 14, 2017: Letter to House Transportation and Infrastructure Committee Chair Bill Shuster (R-9-PA) and Ranking Member Peter DeFazio (D-4-OR) urging focus on a consensus driven, bipartisan FAA bill. September 14, 2017: Letter to Senate Commerce Committee Chair John Thune (R-SD) and Ranking Member Bill Nelson (D-FL) urging focus on a consensus driven, bipartisan FAA bill. July 10, 2017: Letter to Congress from 117 general aviation industry groups voicing opposition to the air traffic control privatization proposal in H.R. 2997. June 21, 2017: Letter to Congress from general aviation associations voicing concerns about the air traffic control privatization proposal in H.R. 2997. June 8, 2017: Joint Letter to Chairman Diaz-Balart and Ranking Member Price requesting funding for the FAA’s NextGen – Alternative Fuels for General Aviation (GA) program in Fiscal Year 2018. June 5, 2017: Joint Letter to President Trump in response to his the announcement of the Administration’s principles on privatization of the U.S. Air Traffic Control system. March 21, 2017: Joint Letter to Chairman Thune, Ranking Member Nelson, Subcommittee Chairman Blunt and Subcommittee Ranking Member Cantwell on privatization of the U.S. Air Traffic Control system. March 21: 2017: Joint Letter to Chairman Shuster, Ranking Member DeFazio, Chairman LoBiondo and Ranking Member Larsen on privatization of the U.S. Air Traffic Control system. September 12, 2016: Joint Letter to Speaker Ryan and Leaders McConnell, Pelosi, and Reid on the Export-Import Bank. February 22, 2016: Letter to Thomas Barthold requesting a technical correction in the PATH Act. January 19, 2016: Joint Letter to Chairman Shuster, Ranking Member DeFazio, Chairman LoBiondo, and Ranking Member Larsen on Air Traffic Control reform. November 16, 2015: Letter to Chairman Shuster, Chairman Thune, Ranking Member DeFazio, and Ranking Member Nelson on FAA Reauthorization. September 30, 2015: Joint Letter to Worldwide Governments on Climate Change. August 3, 2015: Joint Letter to Chairman Shuster, Ranking Member DeFazio, Chairman LoBiondo, and Ranking Member Larsen on FAA Reauthorization. October 17, 2013: Letter to U.S. Transportation Secretary Foxx on the impact of the U.S. government shutdown on general aviation manufacturers. October 8, 2013: Joint Letter to U.S. Transportation Secretary Foxx requesting the reopening of the U.S. Aircraft Registry. April 5, 2013: Letter from Bipartisan U.S. House Members to President Obama Opposing User Fees. August 20, 2012: Joint Letter to U.S. Homeland Security Secretary Napolitano on repair station security rulemaking. August 1, 2012: Joint Letter to Administrator Huerta on funding an unleaded avgas program for Fiscal Year 2014. July 31, 2012: Joint Letter to Senators on the European Union Emissions Trading Scheme Prohibition Act of 2011. September 21, 2011: Joint Letter to U.S. Senate Majority Leader Reid on aviation user fees. July 19, 2011: Joint Letter to Speaker Boehner on aviation user fees. June 29, 2011: Joint Letter to President Obama on U.S. manufacturing.